When you think of Spain, you think of sun, sea and sand – but this Mediterranean gem is so much more than that. 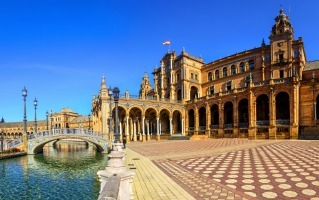 Take a trip out of the tourist hotspots and you’ll find the sun-drenched plazas of Seville, the beauty of medieval Valencia and dazzling masterpieces in the galleries of Madrid. Hiring a car in Spain gives you endless possibilities to see every aspect of this eclectic country. We have more than 80 pick-up locations across Spain in all the major towns and cities including Barcelona, Malaga and Madrid, plus you’ll find us at the key airports and railway stations. 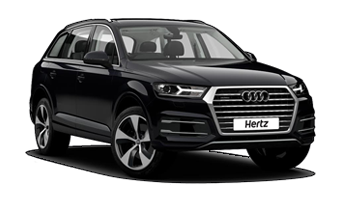 We aim to make the process of hiring a car in Spain as easy and convenient as possible, so you can get on with enjoying your Spanish adventure. Whether it’s having the blissful beaches or exploring the local landmarks and culture you’re most looking forward to, Spain is the perfect place. 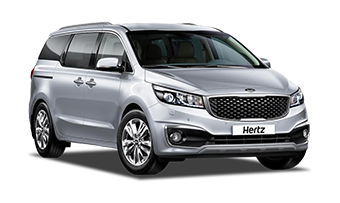 Car rental in Spain allows you so much more flexibility to explore the country and make memories. Spain is world-renowned for its glorious sandy beaches and crystal blue ocean. The Costa del Sol and Costa Brava are known for their beach resorts, but take a drive down the coast and you’ll see so much more. If you’re into water sports, take a drive to Fuengirola to take in sea views while parasailing or head under the waves to snorkel through the azure waters. Experience luxurious Marbella, where you can see house-sized yachts and sink some putts at one of the stunning golf courses. The Canary Islands and the Balearic Islands sit off the coast of Spain. The former are a group of rugged, volcanic islands that include Tenerife, Lanzarote and Fuerteventura. The most popular destination in the Balearics is Ibiza – a three-hour ferry journey from the mainland. Ibiza has become known as the party capital of Europe, with a whirl of buzzy nightclubs that celebrate the thriving dance music scene. However, the island also has its quieter side. 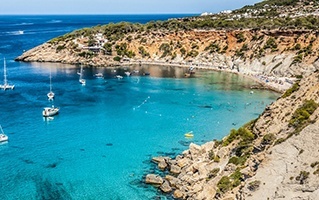 For some rest and relaxation seek out its simple villages, hidden beaches such as Cala Llarga on the southern coastline or unwind at one of the yoga retreats dotted around this idyllic location. There are a myriad of cities to explore in Spain, each with their own distinct personality. The capital Madrid is known as Europe’s own ‘city that never sleeps’ thanks to its vibrant nightlife. 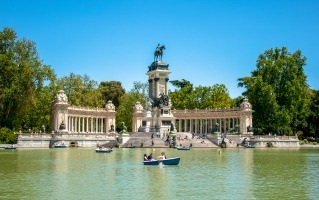 But in the daytime you can fill up on authentic Spanish fare and meander round a plethora of museums and galleries, including the Prado National Museum and the Reina Sofia. Barcelona has its own unique style, and here you can seek out stunning Modernista architecture, dig into its intriguing history and soak up the exhilarating atmosphere. When you hire a car in Spain you can visit both over just a few days, and be rewarded with a scenic drive between the two. Valencia is another city that deserves your attention. 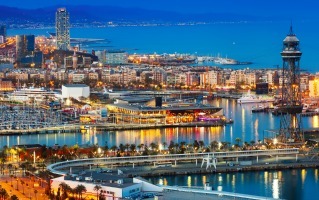 Sitting on the coast in the south of Spain, it often lets Barcelona and Madrid do the talking. But here you can not only appreciate the traditional architecture and charm of the old town but also embrace the new, including Ciudad de las Artes y las Ciencias (The City of Arts and Sciences) which features a science centre and huge aquarium that the whole family will enjoy. The Spanish pride themselves on their hospitality, and it’s this warmth and generosity that keeps visitors coming back year after year. Like many Mediterranean countries, the Spanish are known for their love of food and socialising. Tapas is the quintessential culinary tradition here, with small plates filled with fresh prawns, fried chorizo, patatas bravas, and albondigas (spicy lamb meatballs) served up to savour and share. The city of Bilbao is known for serving some of the finest tapas in Spain, referred to as ‘pintxos’. The stylish and low-lit El Globo is a top tapas spot, where chefs take classicdishes and reinvent them with exciting new ingredients. There’s no better way to explore this enchanting country than by hitting the road to unearth hidden gems and enchanting cities. 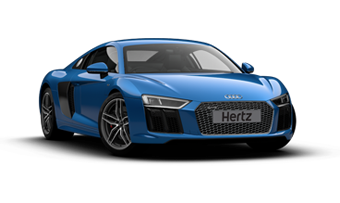 Car hire in Spain puts it all within reach. Roads in Spain’s major cities can get quite busy, but when you head out on the open road and travel between them you’ll find the roads are well maintained and easy to navigate. Driving gives you the opportunity to take in the breathtaking Spanish scenery and you’ll be awed by the seamless transition from magnificent mountain regions to serene villages and sun-kissed coastal areas. The former Roman route Ruta de la Plata is the second largest highway in Spain and joins Seville to Gijón. It’s one of the most beautiful journeys through the country, taking you through an array of historic cities and rolling green landscapes. It’s worth remembering that petrol stations can be few and far between and it’s not uncommon to travel a few hours without seeing one, so make sure your tank is full whenever you set off. Speed limits vary on Spanish roads with highways carrying a limit of 120 km/h. In built-up areas speeds are limited to 50km/h unless lower limits are indicated. Speed cameras or radar guns are used frequently on busy routes and result in an on-the-spot fine, so be sure to keep a close eye on your speed. There are also a number of items that you must carry in your car, including high-vis vests and warning triangles. 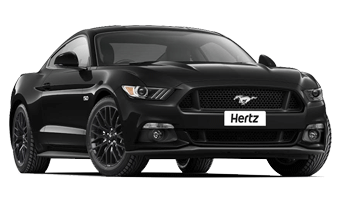 Here at Hertz we can help make sure you have everything you need to travel safely. To find out more about the rules of the road in Spain click here.